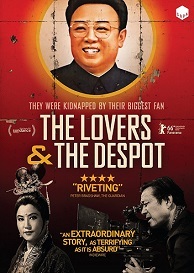 The Lovers And The Despot is released on DVD November 21st And to celebrate we have a great competition for you and 3 copies on DVD to give away. Documentary which tells the extraordinary stories of South Korean director Shin Sang-ok and his actress wife Choi Eun-hee, who were kidnapped by North Korean dictator Kim Jong-il in 1978. After becoming two of the biggest stars in Korean cinema, Shin and Choi were abducted by North Korean agents as part of Kim Jong-il's plan to revolutionise the North Korean film industry. While there, they were befriended by Kim and provided with all the resources needed to make a number of new movies. However, with the rest of the world unaware of the real circumstances which led to their sudden move to the communist state, the desperate couple eventually plot a daring escape attempt while on a trip to Vienna.